F-300BAF Hoshizaki 36" Self Contained Flake Ice Machine,115V, 110 Lb. Storage Cap. Equipment Sales > Flakers > F-300BAF Hoshizaki 36" Self Contained Flake Ice Machine,115V, 110 Lb. Storage Cap. 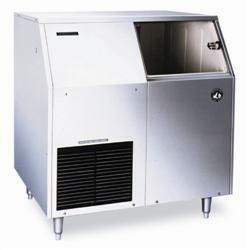 This Hoshizaki KM-300BAF Under Counter Flake Ice Machine Can Produce Up To 303Lbs Of Ice In A 24 Hr. Period And Has A Storage Capacity Of 110Lbs.